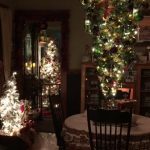 For those who just can’t wait to get started with the Holiday decorations we offer these wonderful Halloween Christmas Tree ideas. We’ve already suggested a few options for Summer Trees and Autumn Trees, so this is the next logical step. Here are few ideas to decorate your tree for Halloween in style! 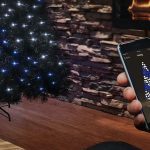 You don’t have to think about different colors because the most popular colour for Halloween is Black Christmas trees. 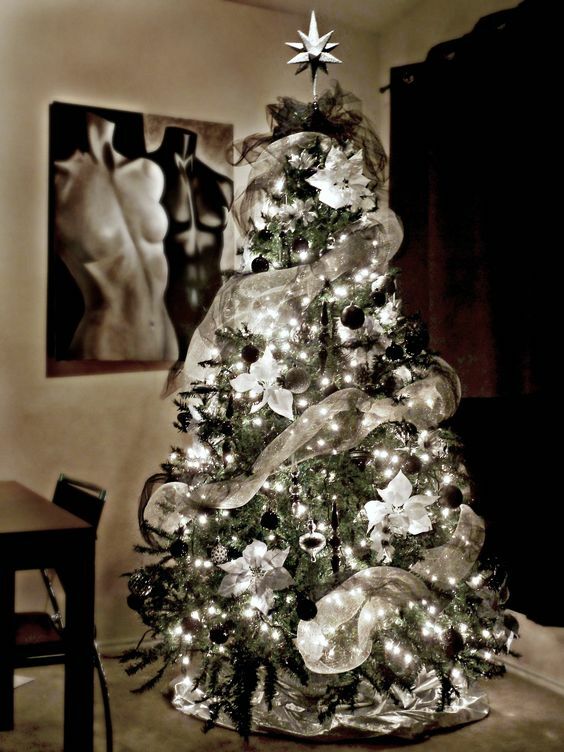 Nothing is as classy, or as simple as a Black and White Christmas Tree. The perfect Halloween Christmas tree that you can leave up for the rest of the season. Black Christmas trees are a great base, or White Christmas trees, then add only Monochrome Christmas Tree decorations. You may not have even known that a tri-colored Candy Corn Halloween Christmas Tree even existed, but now that you do, you totally want one, don’t you? It doesn’t really matter how you decorate it – it’ll be the perfect Halloween tree (although we love these paper ghosts to bits). Candy Corn tree available from Treetopia. 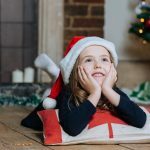 Adorning a large or small Black Christmas Tree with skulls and orange baubles is the perfect spooky, haunted Halloween Christmas Tree decor idea. You don’t even need a full-sized tree for full impact, just some choice decorations to make it creepy! Miniature Black Christmas Trees make for excellent porch decorations for hallween as well. Okay, maybe I snuck this one in here because I am literally obsessed with purple… or maybe it’s because I could never see this as a real Christmas Tree so it should be for Halloween, either way, I think it’s lovely, and would fit right in during a Halloween Party or otherwise. 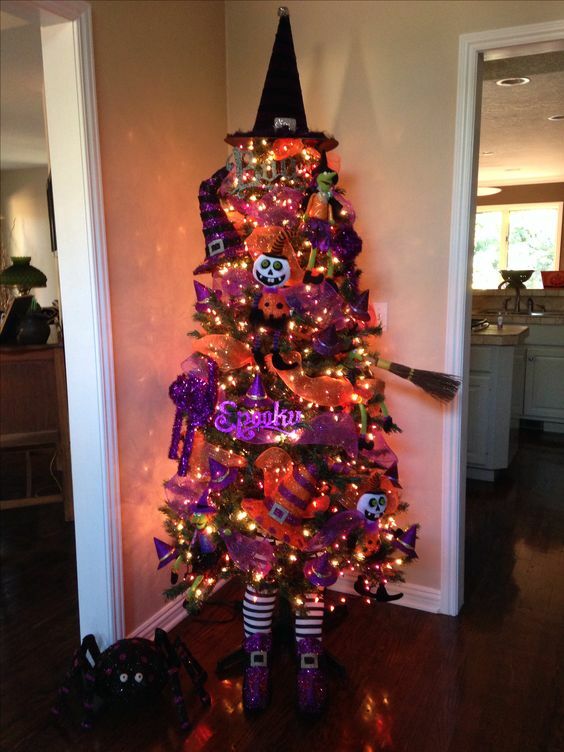 Probably the most common Halloween Christmas Tree idea I’ve seen, sometimes the witch is crashed into the side, but the key points are Hat, Broom and Stockings/feet. It’s a cute, and fun (and in this particular case, very sparkly) way to celebrate Halloween with a tree. 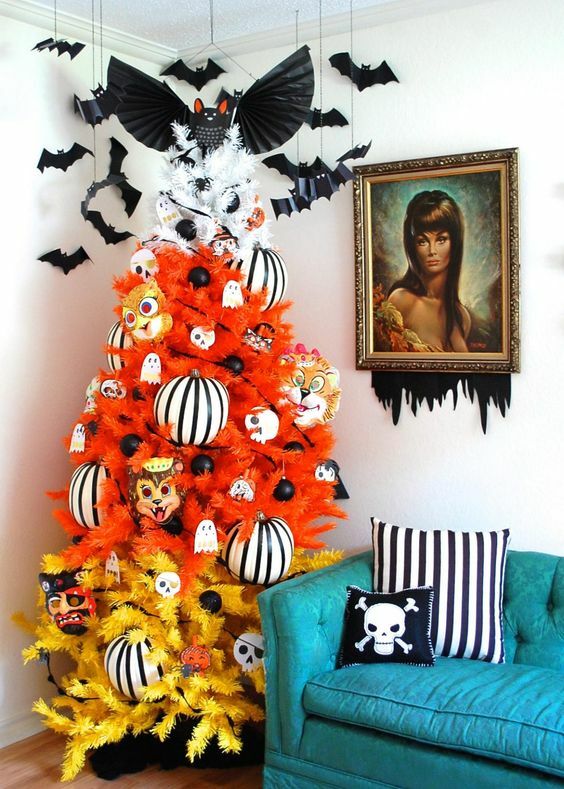 Would you ever decorate with Black Christmas Tree, a Halloween Tree or Witch Christmas Tree? Share in the Comments or in our Facebook Group!